Locksmith Albuquerque: Should You Re-Key Your House? Getting a new home can be incredibly exciting! Chances are good you fantasized about finally being handed the keys while you were buried beneath paperwork and packing boxes. If you sigh in relief when the keys finally are in your hand, you aren’t alone! However, don’t fall into the temptation of letting your guard down. Instead, make plans to get your home rekeyed as soon as possible. If the thought of your house’s previous occupants letting themselves in is ludicrous to you, don’t worry; it is ludicrous to most people. And most people would be right: a majority of people can be trusted to leave you alone. However, not everyone is honest. And you shouldn’t gamble your entire household on the assumption that people are. Instead, get your home rekeyed before you move in. It doesn’t matter if your home is brand new; get it rekeyed anyway! We’ve been talking to new homeowners, but anyone who has handed keys out to contractors or old friends would be wise to listen to our advice as well. Here are reasons why you should contact our locksmith team in Albuquerque. You need to prevent burglary and home invasions. Your locks stand between you, your property, and the rest of the world, and there’s nothing wrong with making sure they can do their job. The last thing you want is to notice that things are missing or items are left out of place. Your security is worth the investment! People know when you are moving in. This may sound paranoid, but it is actually very common for burglars to ride around looking for moving trucks. They will take advantage of the unsecured property, slip in, and take property that you dismiss as lost during the move. 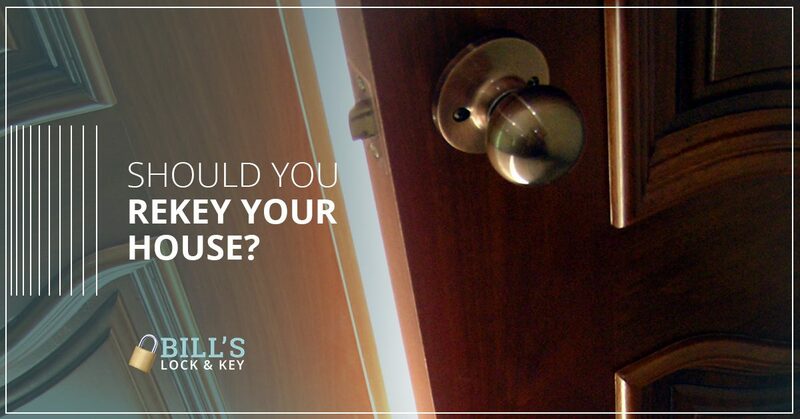 Keep your property locked and secure with new locks as much as possible on moving day. Contractors and workers can’t always be trusted. Nobody wants to think about a painter or plumber coming back to their property to burgle it, but unscrupulous people will use house calls to assess the value of items so they can come back later. The case is worse if you give the person a key or reveal the location of an extra key. You should be the only one who can get past your locks. Many people think of rekeying their house and assume it will be inconvenient. In fact, rekeying can take under an hour. Contact our expert locksmith team to learn more today!